Ever since Steve Jobs introduced iPhone in 2007, stylus has been dead. Who needs a stylus when you can use your fingers, right? Well, for normal usage daily, our fingers will be able to do the job very well already. After using touch screen phones or tablets for a year or plus, I start to missed the accurate stylus. I need the stylus for my drawing, writing and sometimes playing games. And finally I I have bought one for myself. Now I can draw, scribble and do more things with my smartphone and especially my iPad 2. Nowadays, some of my friends are picking up Samsung Galaxy Note 10.1 or 8.0 because it has dedicated stylus. 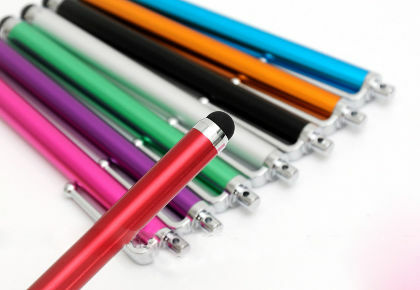 High-grade soft silicone dome header for screen protection, easy writing, gaming, etc. Update: Nikon D7000 Price In Malaysia! Previous story iPad Casings Are Getting Trendier!